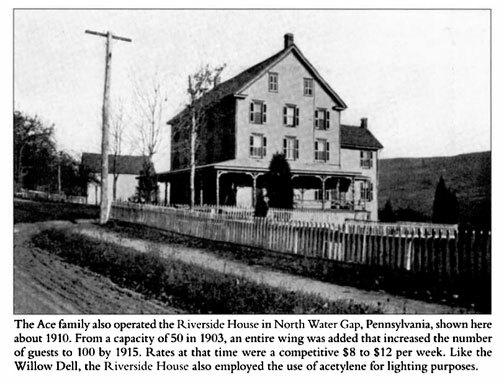 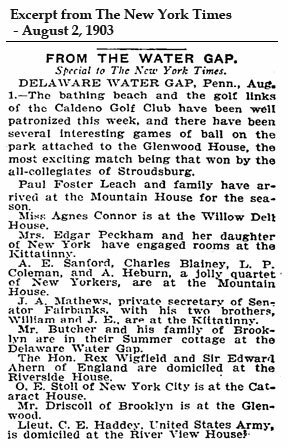 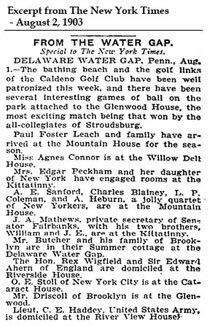 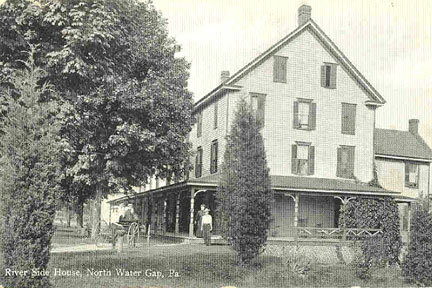 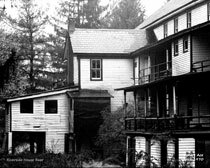 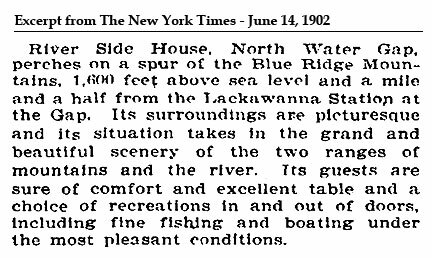 The Riverside House, also known as the Riverside Hotel, was located in the part of Delware Water Gap sometimes known as North Water Gap. 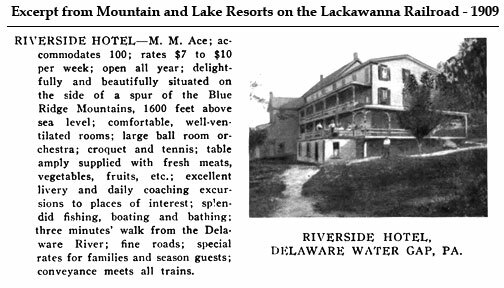 It was a popular summer resort desitination in the late 1800's and early 1900's. 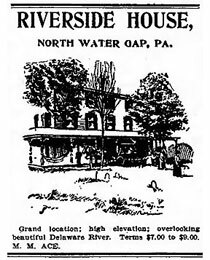 The Riverside House was owned and operated by M.M. 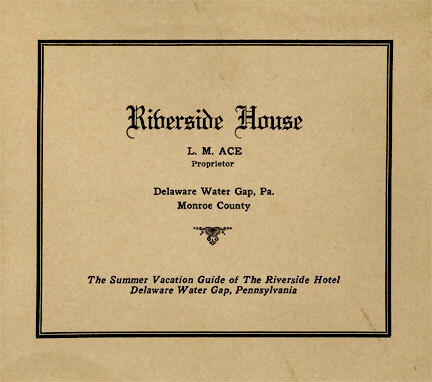 Ace (Moses M. Ace), who was my great, great grandfather and later by L. M. Ace (Lewis M. Ace), my great grandfather. 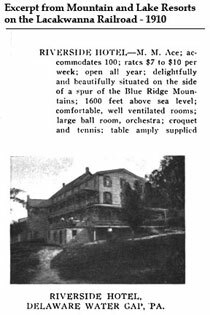 In the early years of operation it could accomadate 30 guests, over the years it was expanded to accomodate 50 guests and then to 100 guests. 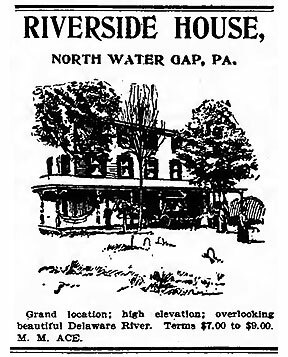 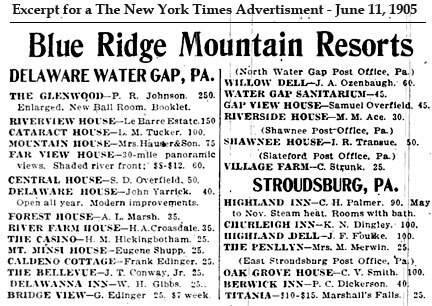 The Riverside House was approximatly a mile and half from the DL&W station in Delaware Water Gap. Pictured below are various newspaper excerpts, images and other related Riverside House items I have found. 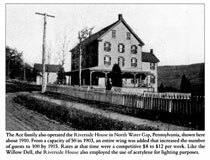 The old sign that hung over the pickup spot for the Riverside House at the DL&W Railroad Station in Delaware Water Gap. Rear view of the Riverside House circa 1970. 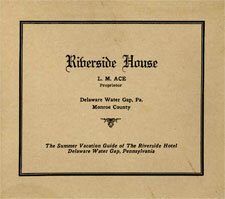 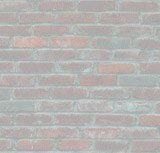 This is the cover to a small pamphlet for the Riverside House. 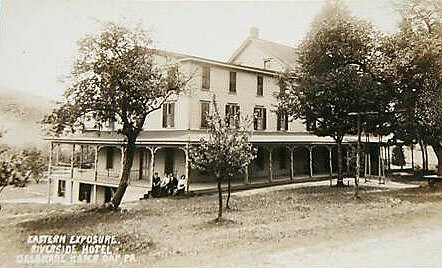 I believe it is from the 1920's.